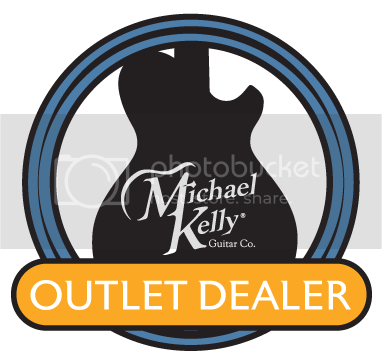 Authorized Michael Kelly Factory Outlet Dealer! Blemishes may included minor scuffs, scratches, chips. Noteworthy blemishes will be pictured. Guitar plays fine, with no fret wear and mechanical and electrical are in prefect working order. Stain overspray around F holes.